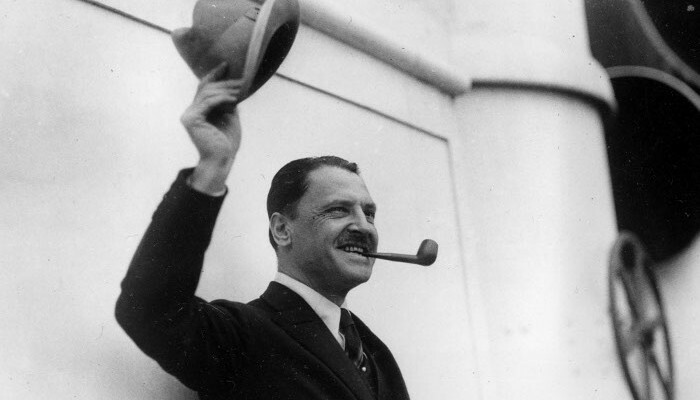 “In this year, ” wrote W. Somerset Maugham in A Writer’s Notebook, “I was sent to Russia on a secret mission.” A secret agent during World War 1, he was tasked with helping the provisional government defeat the Bolsheviks. Among his contact were the Assistant War Minister Boris Savinkov, a revolutionary writer and assassin. “Savinkov. Before the revolution he was the leader of the terrorists. He planned and executed the assassinations of Plehve and of the Grand Duke Sergius. Hunted by the police, he lived for two years under a British passport. He was at last run to earth at an hotel. He was taken into the dinning-room while a compte rendu was being made. He was told he could have anything he wanted. He asked for soda water and cigarettes. Soda water was brought and the officer in charge of the soldiers who had effected the arrest took a cigarette out of his case and flung it to him. Savinkov lost his temper. He took the cigarette and threw it in the officer’s face. He laughed a little as he told me his words: ‘You forget, sir, that I am no less a gentleman than you.’ It bore out my theory that men in moments of great emotion express themselves in terms of melodrama. That is why the best writers are often so untrue to life. W. Somerset Maugham, A Writer’s Notebook, William Heinemann Ltd, 1949.